I asked my friend what finnishness means to him. His answer was: ruisleipää ja salmiakkia. Rye bread and salty liquorice. Personally I hate salmiakki, so that does not belong to my finnishness. What finnishness means to me? That’s hard question because I always say I was born to wrong country because I hate snow and cold weather. I’m from Tornio, Lapland, so winter sports are familiar. I am not outdoors person, but I appreciate our pure nature. I appreciate the solitude what nature gives us. And I love sauna. I’m not stereotypical Finn; I talk a lot and I am loud. I am open to new experiences, I don’t drink that much and I don’t listen heavy metal. For me finnishness is stubbornness. And we are very proud. Sometimes (read: usually) those two things are same. 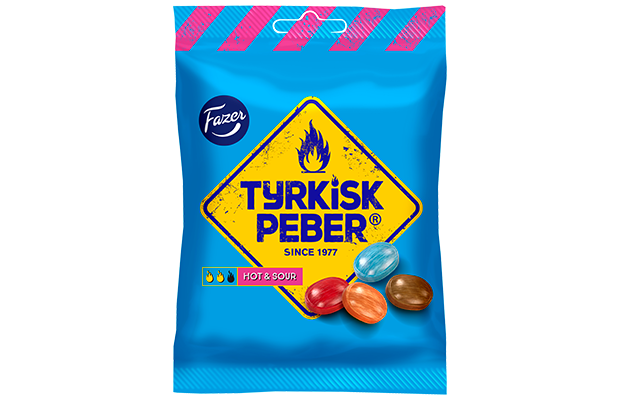 Finnishness to me is night less nights, midsummer, dark humor, honesty, melancholy and turkish pepper candy. Also we have this thing called sisu. There is not English word for sisu, but it means determination regardless of cost, so we don’t give up easily. And that trait makes me proud to be Finn. I will do my training in hotel named Viura, Logroño, Spain. I am bit nervous because Spanish people are quite different than we finns. And I will miss finnish solitude, rye bred and sauna. I’m sure I will learn many things abroad about my future profession, Spain and myself , but mostly I think I will appreciate finnishness eaven more. Nature reserve in Southern Finland. What is it like to live in Finland? For me it means clean air, quiet green forests, snowy fields and in the summer a sunny archipelago. I absolutely adore my home country when it comes to the peaceful nature where you can escape from the hustle and bustle of the somewhat busy lifestyle. The weather isn’t that nice most of the time, but when it is, you really come to appreciate it and make the most of your time outdoors. You really come to value the little things living in Finland: a little ray of sun in the morning can make your whole day. Everywhere is pretty in the summer and people are beaming happiness. Or some of them, because it’s a common joke that it’s always either too hot or too cold. The Finns are pale most of the year but in the summer they turn red or if they are lucky, get nicely tanned and that’s how you have achieved the most important task in the summer. 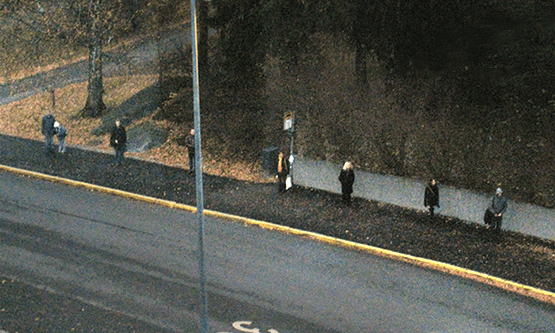 Finnish people are pretty quiet but if you start talking to them, you rarely get an ill answer. Still, do not sit next to someone in a bus if there are free seats, that’s one of the most important things you need to learn if you come to visit Finland. It will make everyone cringe. Being a Finn is pretty neat. You get ”free” education and monetary support to your studies from your government. Our education is great compared to other countries and our academic skills are well valued. It’s also really safe here. Top 3 biggest fears, at least for me, are being bitten by snake (which we have 2 kinds of which nether is deadly venomous and are only seen in the nature in summer), killed by a bear (which is really unlikely) or being stabbed (usually involves intoxicating substance usage and debts so for normal citizen this fear is also very unlikely) We really are proud hockey people and we always want to win the Swedish. Besides drinking milk like newborn babies and being coffee addicts, one of our biggest pet peeves is using alcohol – and usually too much of it. Still, I’m lucky to be a Finn and even though in the future I plan to live abroad for a while, I still want to live most of my life in Finland. A colubrid snake in archipelago. For me being a Finn is a weird concept. 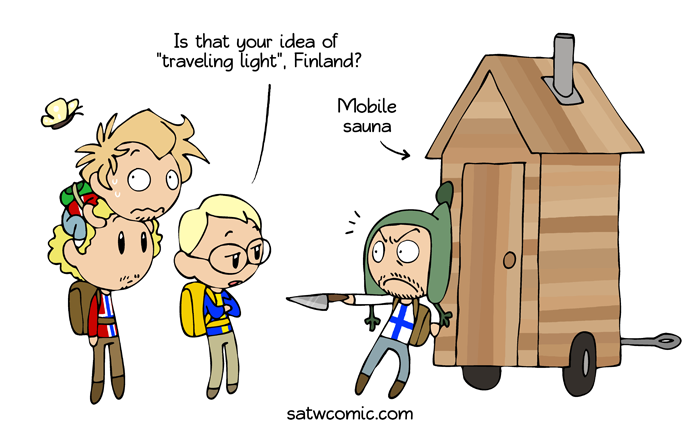 I can’t seem to relate to most of the stereotypes of Finnish people on a personal level. I am social and outgoing, I don’t mind people entering my personal space (if I know them), I am very affectionate and I am loud and giggly and I actually don’t like sauna that much. The stereotype of grumpy Finns who prefer to grunt in response and avoid interaction with other people whenever possible doesn’t seem to suit me. But I am still a Finn and it means other things to me as it is different for everyone. I guess belonging somewhere comes from yourself and what you believe it means and requires. In a way I am a Finn because I was born in Finland and lived here most of my life. But my times abroad and meeting international people have changed me as well as a person. So it’s not just about where you come from, it’s about who you are and want to be. But enough of that philosophical blabbering, let’s get down to the things that I think make me a Finn. Whether it is camping outside and gazing at the stars while roasting marshmallows or sausages on a campfire or skinny dipping in a lake and running back into a sauna on a clear summer night, nature has always been close to me. I grew up in the country side so I got to experience it on a whole new level. There’s nothing more calming to going into the forest on a clear snow day and just listening to the sound of nature while admiring the view that unfolds before you. Snowy landscape is one of my favorite sights to see and it holds the candle to the other wonders of the world. This part of Finnishness also holds the sports we get to do during winter time. Ice skating, skiing, sliding down the hill on a sleigh, all of these and many more would not be possible in many other places. There are quite many foods that you wouldn’t come across elsewhere or there might be something similar. I know these names won’t mean much to you but for example karjalanpiirakka, piparkakku, karjalanpaisti, mämmi (which is disgusting by the way) or salted liquorices. We Finns do love our salted liquorice, we put it into almost anything; ice cream, chocolate, alcohol etc. Salmari, the alcoholic drink, is good by the way. 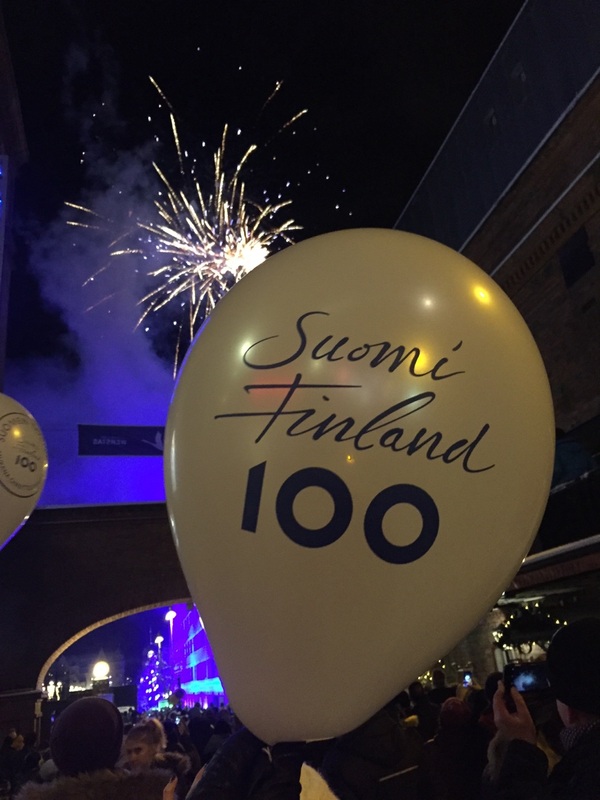 Which brings us to the drinking culture in Finland. In a lot of countries drinking is a social thing where as in Finland we can also just do “kalsarikännit” which basically means getting drunk in our underwear alone at home. That’s another thing we do, we get drunk. Sometimes might enjoy a glass or two when having food or going to sauna but if we go out we go all out. During the weekend around 4 am you can find Finns queuing up to a pizzeria or some snack kiosk with greasy food to get something to fill their alcohol infused bellies. And that’s when we actually talk to strangers even if they wouldn’t want you to. I can’t even count how many times I’ve enjoyed listening to foreigners trying to speak Finnish. I really appreciate the effort though and I congratulate you for trying since it’s definitely not the easiest language. Even Finns have trouble understanding each other depending which part of the country they come from. To many Finnish just sounds like a really long word since we do not tend to breathe in between while talking. We take a deep breath and let it all out in one go. No wonder we don’t talk much. If we don’t have anything to say why say anything at all. Words hold quite a lot of power and verbal agreements can be almost as binding as written ones. If you make a promise you are excepted to hold true to your words. But Finnish language can be quite funny once you learn it (if you learn it). So I would proudly say, yes I am a Finn. But I am also me and that is so much more. In my opinion there is not one correct answer to that question. Basically, you can’t just say that someone is Finnish because she/he acts in a certain way. It is quite random in which culture you were born and nationality is just a tiny part of your personality, it doesn’t specify what kind of person you are. But people seem to love categorizing and that is the reason why we have all these stereotypes. 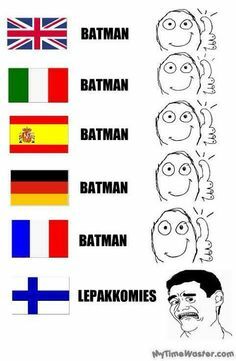 Now it is time to figure out how Finnish you are. The test is based on common stereotypes of what Finnishness is. You get one point for every claim that fits in you. Your best and only coping mechanism is drinking. No matter how small or big your problem is, the best solution is to drink yourself into oblivion. Next day you may have a major headache but the problem is forgotten! You hate Swedes and Russians. You don’t really know why, but does it even matter? You are shy, socially awkward and you hate being centre of attention (unless you are drunk). So it is better just to sit still and quiet somewhere in shady corner and try not to breathe so loud. You have sisu (sisu can be translated as gut or persistence). At least you think you have. Sometimes the line between stubbornness/foolishness and sisu can be a little flickering. Some may say that doing same thing in same way over and over again without succeeding in it, is ludicrous, but you say it is sisu. You love sauna. There is nothing as awesome in entire world as sitting naked in the small, hot room and drinking ice cold beer (or Koskenkorva, or Jaloviina). The best thing ever! 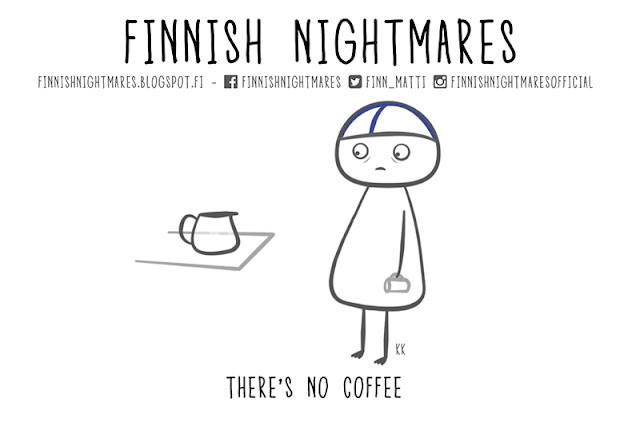 All the Finns are rude, unpolite and cranky. Someone you don’t know asks if you know where is the library, you rapidly turn around and walk away. Old lady asks you to help her cross the road, you won’t. There is a fight in the street, someone should call 112, you don’t have time for that. People really should just mind their own businesses! You don’t laugh much. 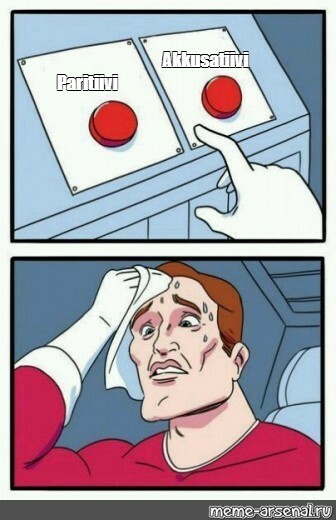 Why should you? There is no valid reason to laugh (unless you are drunk) and furthermore it gives you wrinkles. You have quite special sense of humor. You think you are funny while others think that you are just weird. You can’t talk about feelings. You don’t want to talk about your own feelings and you definitely don’t want to hear someone else’s feelings. It is better to never ever open up (unless you are really, really, really drunk). Well, I got one point (claim nro 9) although I was born in Finland and I have lived here my whole life. In my experience Finnishness can be whatever you want it to be. It can be openness, solitude, happiness, melancholy, shyness, bravery etc. There is no certain personality or specific behavior that determines Finnishness. After all, we are all humans, so should we rather ask what is humanity?